Spangenhelm There are 9 products. 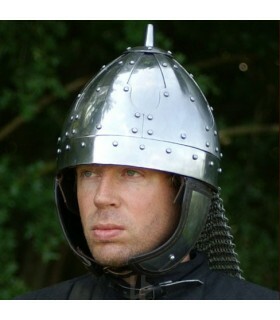 Medieval helmet functional Spangen with guard-ears and Aventail. 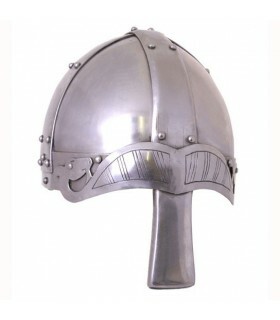 Based on the Viking helmets found from the 9th century AD. All parts are welded and riveted. Thickness: 2mm and nose of 3 mm. Includes adjustable leather lining and straps with chin buckle. 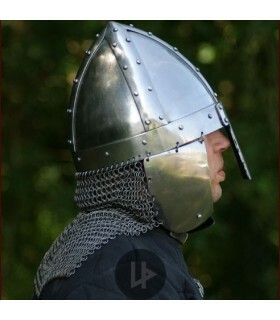 Medieval helmet functional Spangenhelmet with guard-ears and Aventail type Baldenheim. 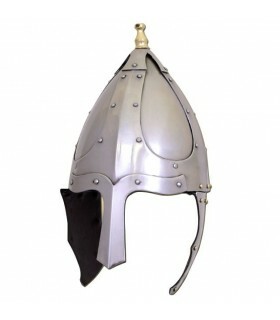 Based on the found helmets of the V-VI century AD. All parts are welded and riveted. Thickness: 2mm Includes adjustable leather lining and straps with chin buckle. 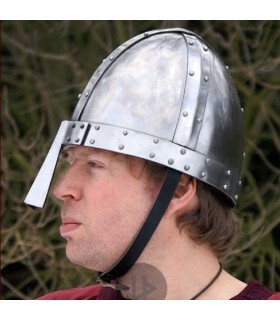 Spangen medieval helmet fully functional with a thickness of 2 mm. 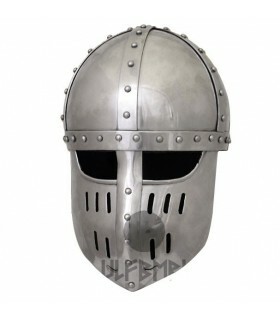 This helmet comes with leather interior protection and barbell. Also includes a cotton capelin. 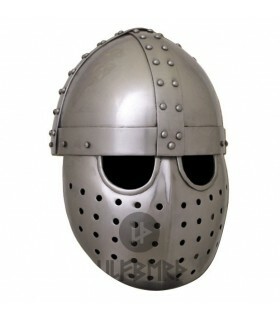 The helmet is one size and has an inner perimeter of 62 cm. approx. 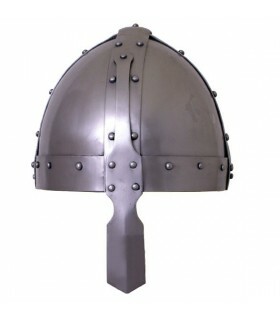 Helmet Spangenhelm high medieval period with frontal visor. 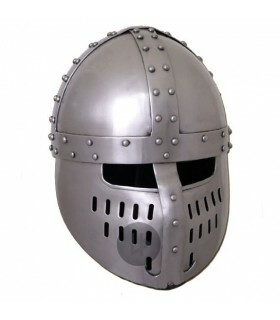 It was carried by the Normans or the Crusaders. Handmade in 2 mm steel. thick. The visor comes with a riveted helmet. Includes padded lining as well as leather strap and bronze buckle.